Should You Pawn to Pay Taxes? If you’re looking at a big bill for taxes, medical emergencies or other life crisis, it’s tempting to reach for the traditional sources: the line of credit on your house, cashing in stock, charging it on a credit card or using one of those ‘convenience checks’ that always seem to show up at tax time. A pawn loan, on the other hand, never affects your credit rating and can be significantly cheaper than other forms of loans. Here are some key reasons to consider a pawn loan before you reach for more expensive alternatives. What is the interest on a pawn shop loan? Pawn loan interest rates are regulated by each state. The interest set by New Jersey law is 4.5%. That means a 30-day pawn loan on $1000 only costs $45. Compare that with your credit card rates. And pawn loans never affect your credit rating. How long is a pawnshop loan? Pawning is quick. You walk in with a valuable, you walk out with cash. We don’t require a credit check because the loan is backed by your watch or jewelry. How much do pawn shops loan? Our high-end pawn loans for jewelry and watches range from $500 to $50,000, depending on the resale value of the item we hold in collateral. We want to give you the highest loan possible based on the current market value and condition of your property. We base our loan offer on our confidence in being able to recapture the value of the loan should you forfeit. Different pawn shops specialize in different categories of goods. For a loan large enough to cover significant needs such as taxes, the value of the item you’re pawning needs to be significant. We only handle high end loans for $500 and up and only on jewelry, watches or precious metals. Because we also buy and sell these items, we have an international market for them. That means we can offer the maximum loan amount, depending on the condition of the item. How does pawning in person compare with online pawn services? Online pawn services may not honor their initial estimate once they receive your item and assess its condition and value. Meanwhile you’ve lost time and put your valuable at risk. 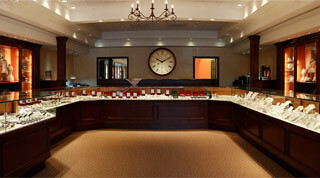 At Palisade Jewelers, we’ll assess your piece on the spot and make an instant pawn offer. Our jewelry and watch store is located on a clean, beautiful retail street in Englewood, New Jersey, minutes away from the George Washington Bridge. The area is very safe, with plentiful parking across the street. And because we are a jewelry store as well, our pawning service is discreet. Call Ron at Palisade Jewelers and he will be happy to discuss your needs. 201 871 0400.